This is a very impressive size church! 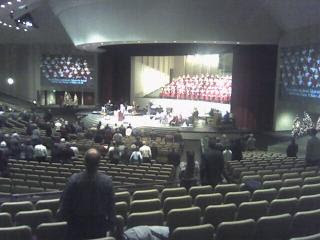 The church where I am playing at Christmas is very tiny. It holds 50 people, maybe 75 tops. I agree, impressive! Very large! What an honor to be able to help inspire so many! Yes, impressively large. An interesting point about inspiring many, as I lean toward a quality rather than quantity philosophy myself.